Between juggling everyday life, some Youngstown State University students have taken on the challenging task of running their own small businesses. 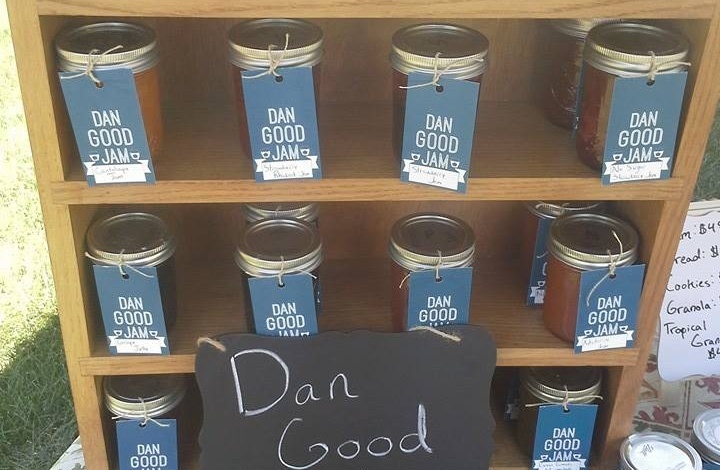 Daniel Bancroft, sophomore environmental science major, owns Dan Good Jam. 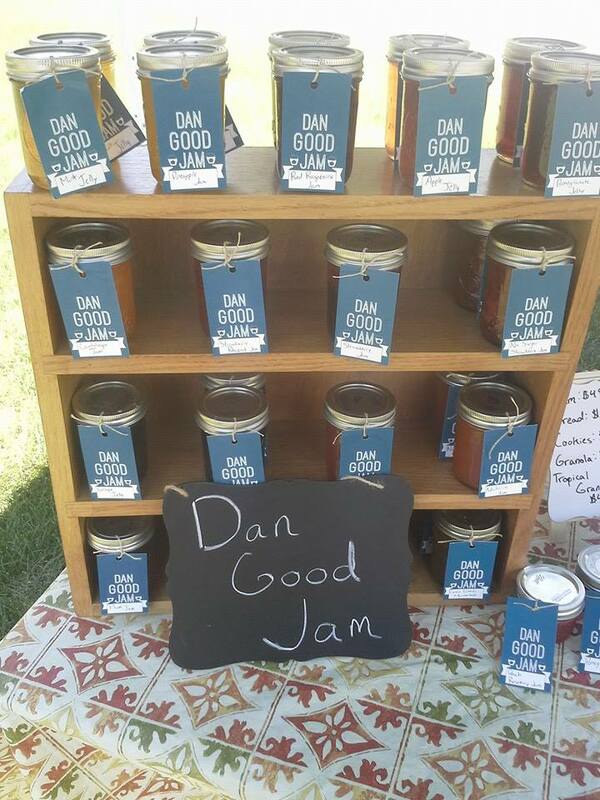 He creates a variety of jams, jellies and baked goods and sells them to local vendors and restaurants. Bancroft said his late grandmother inspired him to start making jams. Bancroft said he manages to make time for school and operating his business with mostly small-scale consumer needs and a majority of sales occurring in the summer. Bancroft said he regularly sells his products at Cultivate: A Co-Op Cafe in Youngstown, the Village Pump in Canfield and the Howland Farmers Market. In addition, he has produced goods for large inventory needs like fundraisers and weddings. Lydia Tarleton, junior graphic and interactive design major, owns LydiaJoStudios, an Etsy shop where she sells original artwork ranging from stoic charcoal portraits to bright watercolor florals. Tarleton said all of the pieces listed are readily available originals, but customers can request custom pieces. “Considering their reasonable price, custom pieces are the biggest attraction of my shop and the easiest way for customers to get exactly what their heart desires,” she said. 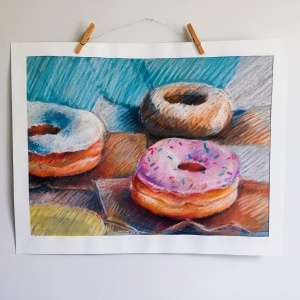 Tarleton said she decided to start an Etsy store when she noticed a growing demand for her artwork. 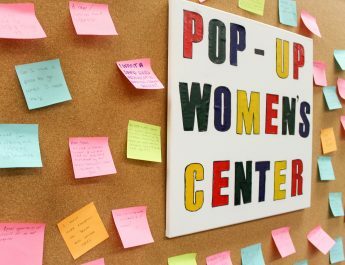 “I always intend for my work to be appreciated and purchased by all, but my target customer is undeniably women, typically ages 16 to 40,” she said. Tarleton said she wants buyers to feel glad when they buy her artwork. “Art is funny thing, in that it can make one feel all kinds of emotions. But I want my clients to feel joyful when staring into one of my works, because I know that I feel only joy when creating them,” she said. John Rossi, director of the Williamson College of Business Administration professional sales center and a marketing instructor, said students can benefit from joining such business organizations as Pi Sigma Epsilon, Enactus and the American Marketing Association. Students can also go to the small business development center in the Williamson College of Business Administration, said Rossi, or receive free advice from local experts of the Service Corps of Retired Executives (SCORE). 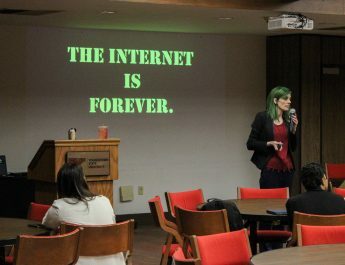 Rossi said students should take advantage of all of the resources offered as freshman or underclassmen of career projects offered at that level. “Oftentimes students, particularly freshman and maybe early sophomores, don’t have coursework that gets them into their major or their interests and they often, sometimes, get bored. So, they can get that kind of opportunity if they join the student organizations,” he said. Rossi said the Williamson College of Business Administration is unique for students who want to start a business because of the intellectual properties it has to offer and the faculty’s nationwide presence in terms of management. Rossi said students who want faculty advice can contact Peter Woodlock, chair of accounting and finance, who has significant presence in the accounting field, and Bruce Keillor, chair of marketing, who has great experience in international business. 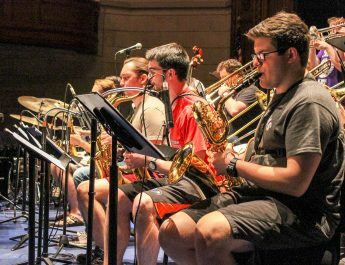 “If they take advantage of faculty, they have tremendous amounts of resources free, effectively, as a student that they can take advantage of,” he said. Caleb Anderson, senior marketing and sales major, is president of Pi Sigma Epsilon, an organization that helps students develop professional skills through hands on experiences. Anderson said the advice he would offer a college student wanting to start a business is to be a master at their craft. He also stressed the importance of real life experiences. “You can do all this research and all these wonderful things. In school, they can teach you all of these competencies and strategies, but unless the strategies become execution, then you will never reach success,” he said.